A SkyTrain on the Millennium Line that became stuck at the Main Street Station shortly before 3 p.m. PT was cleared from the tracks just after 4:30 p.m. PT on Wednesday, but not before playing havoc with the afternoon commute. Dozens of passengers were affected and tempers flared as a fight broke out on the Main Street platform. Passengers were told to get off at the Commercial-Broadway Station and board shuttle trains to Main Street. TransLink had shuttle trains up and running in both directions between Broadway and Main Street and between Main Street and Waterfront. A bus bridge was also put in place to assist stranded passengers. 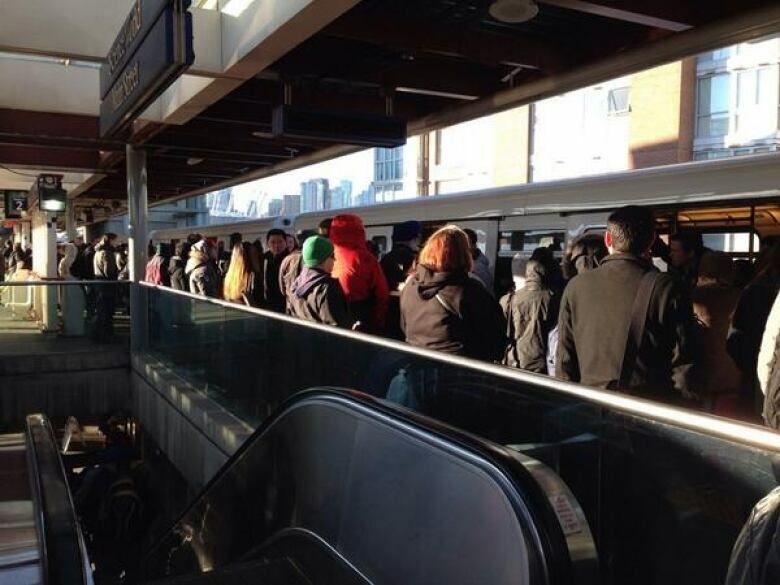 TransLink has not yet said what caused the train to get stuck.